The reliable comedian will be the fifth host of the former ITV favourite when it returns to British screens later this year. Nostalgia time: another ‘90s TV show is to be relaunched. Comedian Harry Hill will host a rebooted version of ‘Stars In Their Eyes’ when ITV launches a new series in the coming months. ‘Stars In Their Eyes’ is a fondly remembered talent show that ran originally in Britain from 1990 to 2006. As ever, members of the public will enter the show and be transformed into their favourite pop stars by top make-up and wardrobe artists, before doing a karaoke version of one of their songs. The music mogul can't add musicals to his mogul skills. He can't. Simon Cowell should just stay away from The West End. The Spice Girls musical, ‘Viva Forever!’ managed 7 months on stage, and now ‘I Can’t Sing’ – written by Harry Hill and backed by Cowell – is being removed after just 2 months, or 6 weeks and 2 days, if you want to be precise. Announcing the closure, Nigel Hall of Cowell's production company Syco Entertainment, said: "Alongside Stage Entertainment we'd like to thank the cast and crew who have worked so hard on this show. To everyone at Really Useful Theatres and the ever supportive staff at the London Palladium, and everyone involved in I Can't Sing! I'd like to say a huge thanks and the very best of luck with their next venture." 'I Can't Sing!' Villain Trevor Modo Based On James Arthur? 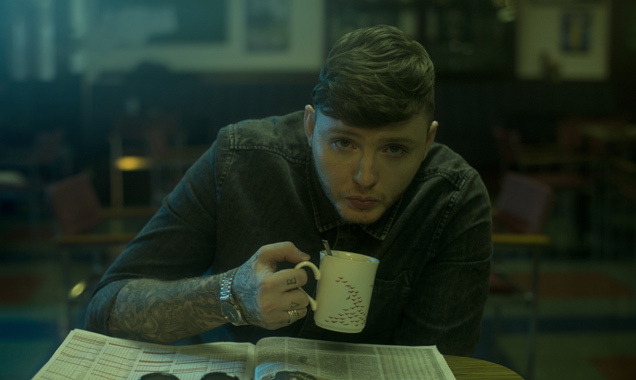 James Arthur makes an appearance in 'I Can't Sing!' - or does he? A hunchback villain character named Trevor Modo in Harry Hill's new X-Factor musical I Can't Sing! is apparently based on former champion James Arthur. In the show, Trevor auditions for the hit show to save himself from a life of poverty, but is sent packing by Nigel Harmon's Simon Cowell character. Seeking revenge, Trevor breaks into an impressive rap number about the injustice of the music industry. Continue reading: 'I Can't Sing!' Villain Trevor Modo Based On James Arthur? The big-collared bald-headed ex-doctor comedian described it as an "all-singing, all-dancing, all-mickey-taking spectacular", and revealed that it will feature "a singing hunchback, a talking dog and a man in an iron lung". It was previously reported that the musical would be titled ‘X Factor: It’s Time To Face The Musical’ but in a joint statement Hill and Steve Brown, who has written for Spitting Image and TV Burp said: "We’d been umm-ing and ahh-ing about the title for a while. Then it hit us: 'I Can’t Sing!' It also happens to be the title of one of the funniest songs in the show and we hope hints at the direction we’re taking this production." The pair also stated Cowell is "backing it 4,500 per cent", and has described it as "one of the funniest things I’ve ever seen". In March, Hill told the Daily Mail: "In our show, [Walsh] has basically dozed off; he's an octogenarian boy-band manager." The script is also said to include Cowell as a character, and wills set about explaining the unusual height of his trousers – something that has been puzzling the nation for nearly a decade now. Say what you like about Simon Cowell, but the man clearly knows how to take a joke, as the upcoming West End musical based on his über-popular talent show series the x factor will be called I Can't Sing. The work-in-progress is being penned by Harry Hill, with music being handled by Steve Brown (Spend, Spend, Spend and I'm Alan Partridge). The Evening Standard revealed today (May 22) that the musical, which will open at the London Palladium on March 26 2014, will be a “mickey-taking spectacular,” that will see judges Cowell, Louis Walsh and Cheryl Cole being lampooned throughout, with the format and contestants of the show also being routinely poked fun at throughout the course of the production. 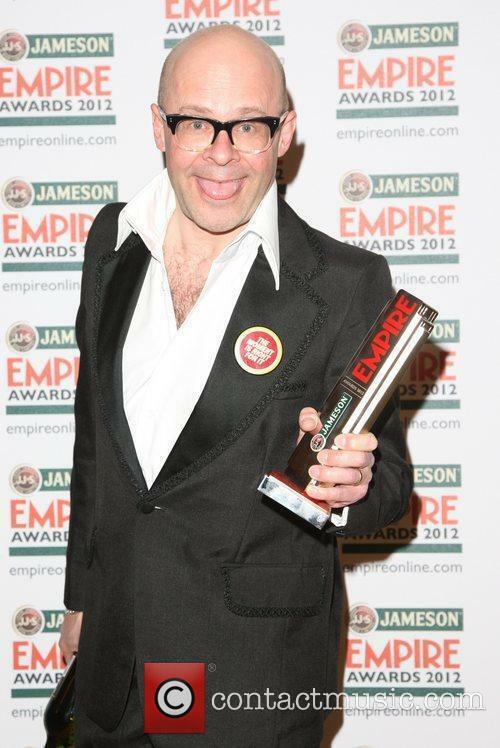 The Harry Hill Movie looks like a riot! Forget The Fast & The Furious! 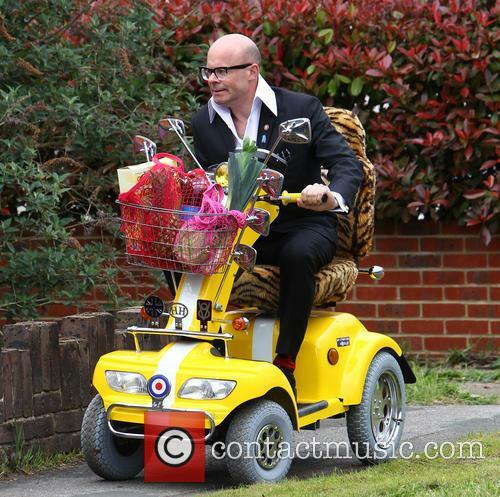 This week, comedian Harry Hill and British movie legend Julie Walters took to their scooters and powered through a quiet London suburb to film scenes from Hill's new movie Harry Hill The Movie. 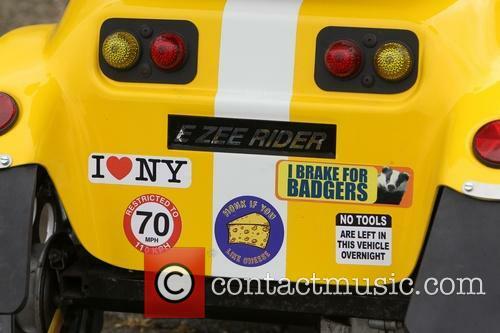 In a pretty hilarious looking scene, the comedian drives a yellow mobility scooter in typically slapstick fashion, falling off it at one point as Walters - who plays his grandmother - cackles away. Iconic actress Walters was almost unrecognizable in a white frizzy wig, dark sunglasses and purple jacket while Hill was dressed as, well, Harry Hill. The comedian opted for his signature suit with big collared shirt and creeper shoes. The movie follows Harry and his grandmother as they attempt to get his pet hamster from London to a vet in Blackpool before the clock winds down. It's seems a pretty silly premise, though Harry has assembled quite for the cast for the movie, including revered actor Jim Broadbent, comedian Matt Lucas and recent Olivier award winner Sheridan Smith. Directed by Steve Bendelack and co-written by Harry, Jon Forster and James Lamont, the movie is due to hit cinemas later in the year. 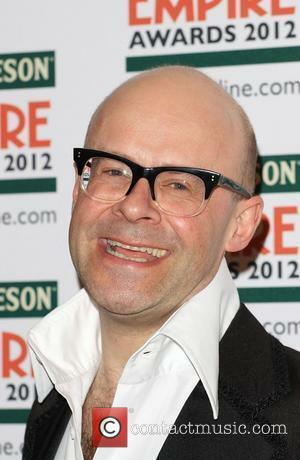 The Harry Hill Movie has begun filming, with the film out by the end of the year. Harry Hill is trying his hand at movie writing, with the TV Burp comic said to have begun filming on his first ever big screen attempt. 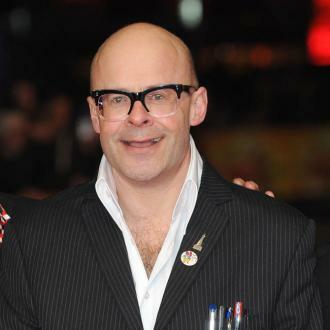 The Harry Hill Movie has lined up a who's who of British comedy talent to star alongside Hill, who is staring in and co-writing the film. Julie Walters, Matt Lucas, newly crowned BAFTA queen Sheridan Smith and Jim Broadbent are just some of the stars who have agreed to the film, with Walters starring as the comic's nan, and Lucas his estranged Alsatian-raised twin brother Otto. 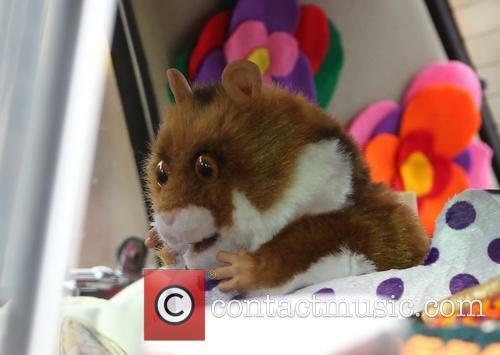 The film will see the funnyman embark on a road trip to Blackpool with his alcoholic grandmother after discovering that his hamster only has one week to live. Harry Hill will hopefully release a more entertaining film than Keith Lemon managed. When David Bowie's new single was released earlier on in the week, he would have been expecting refined commentators of the music scene to gush frantically, not Harry Hill's head to appear in place of Jacqueline Humphries. You see, in the video, the very strange video, Bowie's head is next to Humphries', who is the wife of the 'Where Are We Now?' video's director Tony Oursler. But in this ridiculous spoof version, believed to have been made by writer Michael Moran, Harry Hill's face replaces hers, while the comedian pulls funny faces throughout the short promo clip. Meanwhile, speaking about the possibility of live shows, David Bowie's guitarist Earl Slick said: "We don't know. Obviously, we want him to. But right now, that's a big if... I could get a phone call tomorrow saying, 'Hey, you know what? Here's the setlist.' I don't know. I can't speak for him or the organisation. Obviously, the band would love to go out. Even if it's not a huge tour, we would like to go out and do some gigs. But that's yet to be seen." Slick added that he recorded his parts on Bowie's forthcoming new album last summer. "David got in touch with me out of the blue, and he said, 'I'm ready to go back in. What are you doing? Are you around? Are you touring?' I said, 'No, just get me some dates.' We started banging dates around - and he was already recording - and I went in and did all my stuff in July."